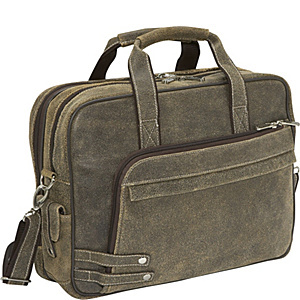 The Legend Leather Laptop Brief from Bellino has a rugged, yet distinguished style. The cool distressed leather gives it its unique appearance. It comes with many pockets to hold all your essentials, a laptop compartment, and a triple accordion file in the back. This great looking bag is for when you don’t need to be so formal, but still want to look good.